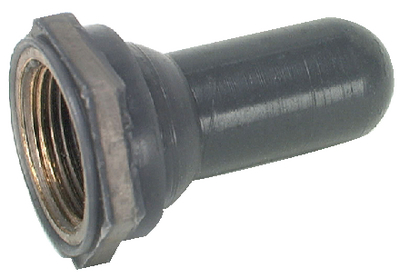 Durable rubber boot bonded to brass nut for positive seal. Protects against moisture and dirt. Fits standard toggle switches with 15/32"-32 mounting stems. Model 81255 allows toggle handle to protrude. Model 81264 completely covers toggle handle and accommodates toggle handles up through 11/16" long.